To test X-Sim without a hardware simulator or to test new profiles for games, X-Sim offers a visualization interface which is used for gauge dashboards with LCDHype or LCDStudio. 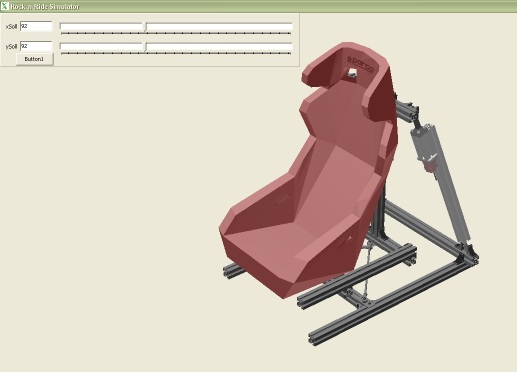 Also it is possible to export six math axis of the profiler to one of the 3D simulation programs which comes with X-Sim. These programs shows you how the math plugin values will look like in the real world. The two applications can only be started, after the Profiler was started. If you do not use this order, this programs go to their simulation modes, where sliders appears in the dialog. 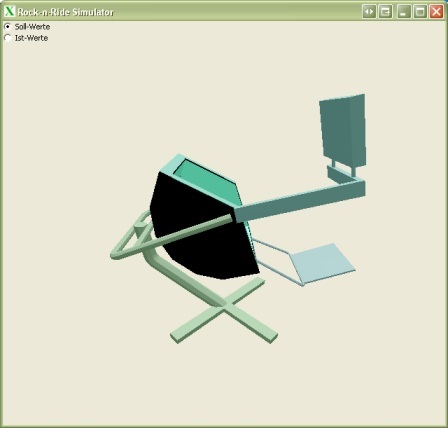 The two 3D simulations above use “Visual export #1” and “Visual export #2” as input for their movement. If your math axis are different to the default ones, you have to change here the used output axis numbers.